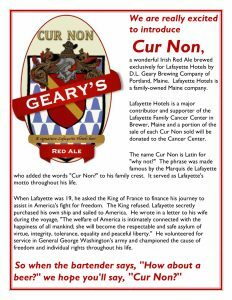 Cur Non – Why not enjoy a fine ale and help donate to a great cause? Our Very Own Ale Brewed by D.L. 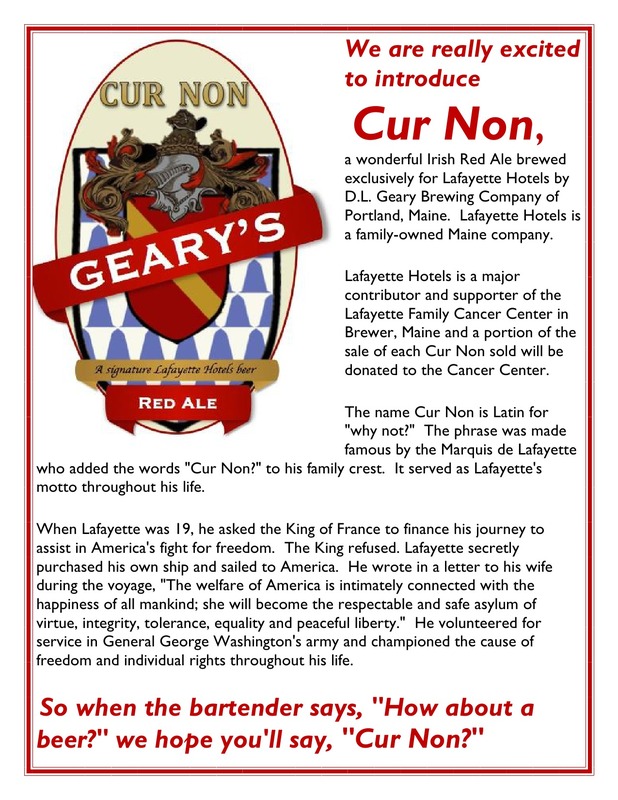 Geary’s in Portland, Maine … a portion of all sales will be donated to the Lafayette Family Cancer Center in Brewer, Maine.